Four Sides Hospitality Consulting focuses on helping boutique hotels, motels, and vacation rentals thrive in a competitive marketplace. The Team has extensive experience in all areas of the hotel industry, from business plan development and marketing plans to operations. Their experience draws on over 60 combined years of experience and schooling, working on small, remote projects, to much larger operations in established markets. In each project they have worked with, the performance of the hotels has excelled expectations. But we also exist to help established hoteliers and other professionals with free advice found in the Notebook, a series of writings to explore new methodologies in revenue management and marketing. We have an ongoing Resource library to help professionals decide on products to look into further, or books to consider. We are also developing new tools to assist hotel professionals in their jobs, especially new professionals who haven't had the opportunity to build their own tools and workflows. The most sought after tool to date has been a revenue pickup report, which should be quite useful to all operators. We hope you find the resources on this site useful, and look forward to hearing from you if you are in need of some direct assistance. Below are a few of the highlights we have been involved with and a few others that are about to begin working on. The SKKY Hotel was a major renovation project in an established market, transforming an old motel that was falling apart into a boutique hotel in a class of its own. The business plan was researched and designed a few years prior to the hotel opening. Four Sides Hospitality Consulting assumed a partial management contract in 2011 to take it to the next level. The main focus of the operation has been on gaining corporate contracts and building relationships with the thirteen First Nations in the Yukon, and three more in northern BC and Inuvik, NWT. Has been rewarded TripAdvisor Certificate of Excellence the past four years. Annual revenues have increased by an average of 7.5% year-over-year, with current projections for 2015 being an increase of 12% over 2014. 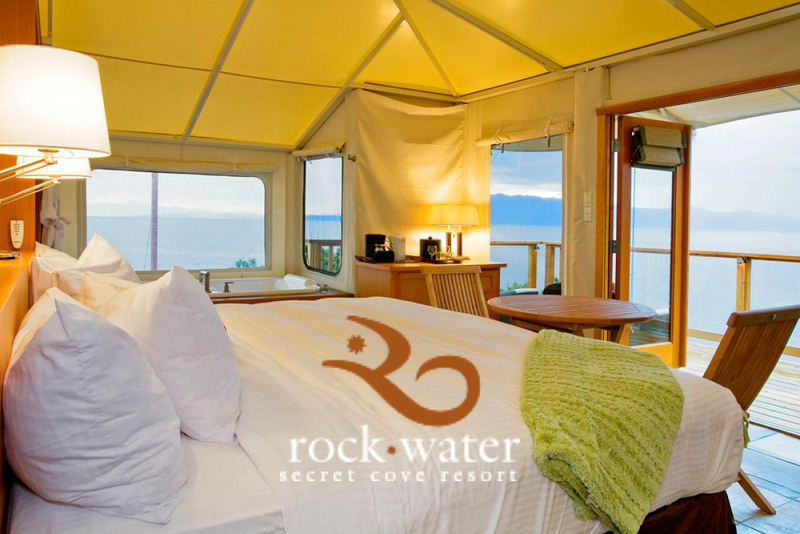 The Rockwater Resort is in a remote location on the Sunshine coast, north of Vancouver. Once popular for weddings and retreats, it had been mismanaged and uncared for prior to the contract of General Manager being signed. A revamped marketing and business plan was produced, which included re-establishing working relationships with the shíshálh Nation in Sechelt. The transformation was swift. Wedding bookings increased by 20% year-over-year, and the resort won the awards for top wedding venue in several years. Net profit went from 6% loss to 17% positive within four years of management. Has been rewarded TripAdvisor Certificate of Excellence the past four years. A new development in Metchosin in a joint venture by the Sc’ianew First Nation and the Trust for Sustainable Development. In preliminary discussions with David Butterfield, President of Sustainable Development to engage in an agreement to prepare a full-fledged business plan in order to obtain financing for this multi-million dollar resort project. The resort will include tent-house suites, hotel rooms, wellness centre and spa, and a conference centre. It is part of a larger development that is building a new town on the southern tip of Vancouver Island, 35 minutes away from Victoria. With over 350 moorings in their marina on the ocean, it will be a popular destination for locals and tourists. Secured a management contract for three years, with option to extend for additional three years. Property has currently been closed since 2009 when it went to power of sale. Business/Operations and Sales/Marketing plan are currently underway as part of the pre-opening checklist. Jackson’s Point is located on Lake Simcoe, an hour north of Toronto. It is a popular year-round destination for people of Toronto and the Golden Horseshoe, with the beaches being the big draw in summer and ice fishing in the winter. The market is saturated with competition from neighbouring cities and well-established resorts. The operations plan is to open with half the hotel through the winter and expand to the full hotel by summer 2016 to attract corporate getaways and weddings. The marketing plan in development is focusing on its location along the lake and amenities not found in competing hotels.